The death toll from the collapse of a Bangladesh clothing factory surpassed 600 on Monday, making it the deadliest disaster in the history of the garment industry. 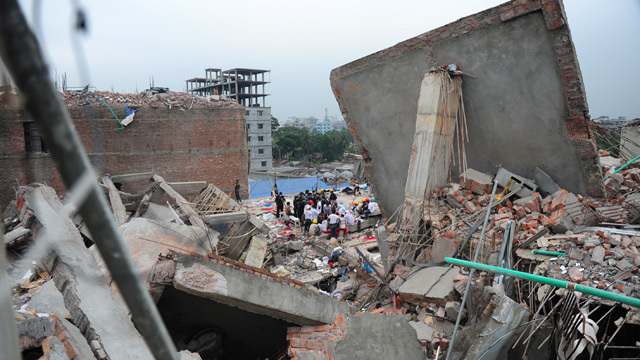 Officials from Walmart, San Francisco-based Gap Inc. and other retailers met in Germany after the collapse to talk about improving safety measures in Bangladesh. We discuss the social costs of cheap clothing. Are you concerned about where and how your clothes are made?